The Alternate Solutions Institute in Lahore, founded by Dr Khalil Ahmad in 2003, have been our main partners in Pakistan. 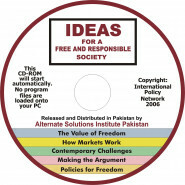 They ran one of the original CD pilot projects in 2006 in which five think tanks in Asia and Africa received $3,000 to make 500 copies of the CD and help with their distribution to students, teachers, policymakers and other opinion formers. The response from Khalil on receiving the CD was enthusiastic “….. this marvellous CD. A comprehensive course for Liberal learning! I hope someday it will be available in print form also, …… It is up to the true meaning of EUREKA.! It’s a treasure-house of Liberal Philosophy! But the challenges of making things happen in Pakistan is considerable and first they needed to revamp a modified CD to make it more relevant to their audience. The names was changed from Ideas for a Free Society to Ideas for a Free and Responsible Society. At that time Khalil was teaching in a Lahore University and so once the CD was available it was promoted through their website and newsletters and distributed through the students there while he and his colleagues also took them to universities elsewhere. He found it a good way to meet and identify people with an interest in freedom. And others contacted him as a result. 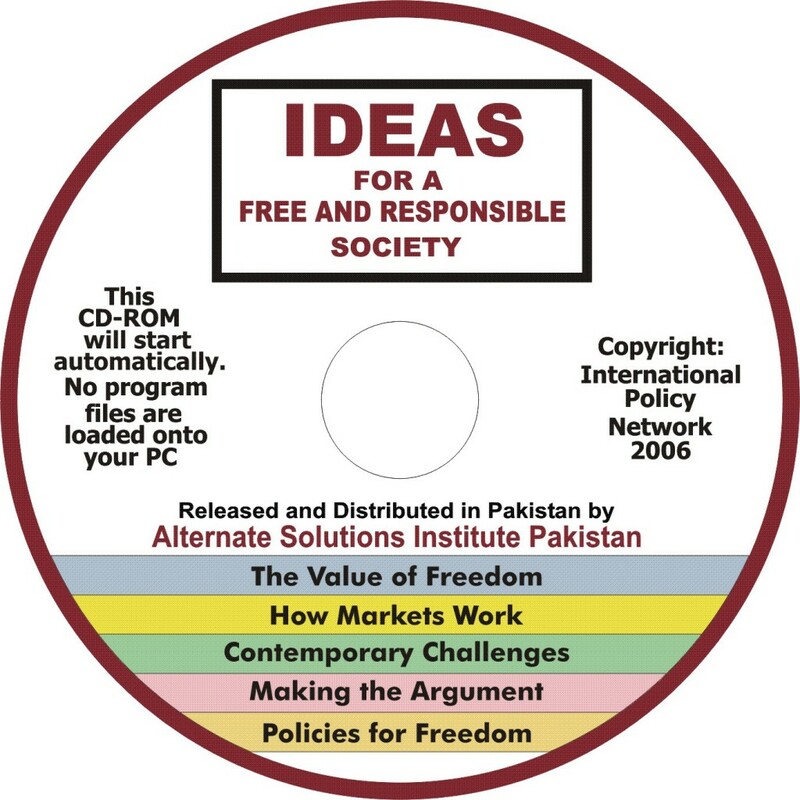 One day he heard from the Vice Chancellor of the prestigious Pakistan Institute of Development Economics who was impressed by the work of ASI and the CDs and wanted to buy 1000 more copies but unfortunately none were available because of copyright restrictions on the 1st Edition.